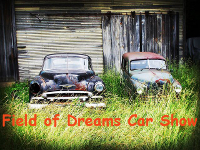 Come, celebrate, enjoy and participate in our Field of Dreams Annual Car Show to support the Shriners Hospitals for Children. When: Saturday November 23rd & Sunday November 24th 2019. Gates open at 9am and close at 4pm. Where: Florida Classic Park, 5360 Lockhart Rd., Brooksville, Fl., which is just west of I75 & Rt. 50. Special considerations: Handicap parking and restrooms available. This is an open car show featuring street rods, rat rods, classics, four-wheel drives, and modern muscle/performance vehicles. Overnight camping is also available.